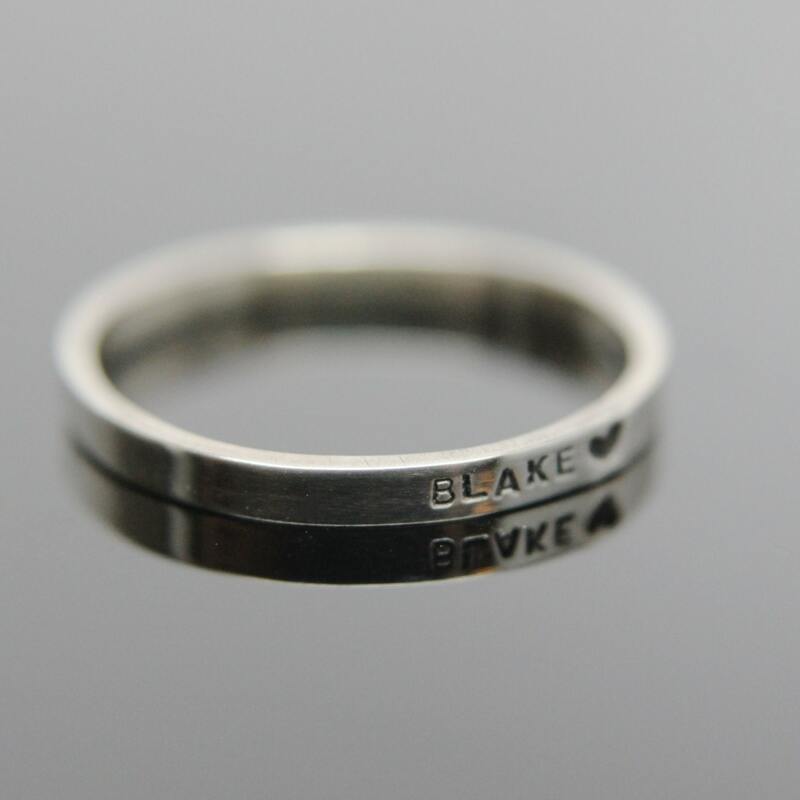 Solid 14k white gold custom hand stamped tiny band ring. Knuckle size available. You already love stacking rings in 14k yellow gold, so why not in 14k white gold?! This listing is for ONE personalized message ring in 14k white gold. Yellow and rose gold rings shown in photo to show color availability. These rings are solid 14k white gold- not gold filled or plated! In notes to seller please indicate what you would like stamped on your custom ring. Lower case available at your request. Stay Gold Ring 14k Gold Simple stacking ring in 14k rose gold, yellow gold, white gold, green gold. Delicate gold stacking ring. Love it as much as the last one I ordered. Quality appears solid and the hand-stamped letters are clear and neat. She also made a last minute change to the words hand-stamped, which was appreciated. Thank you!